That voice is in your head nearly every day. Like your publicist, that voice knows you can’t sell books without interested readers, and blogging, posting and tweeting is a great way to find them. That voice has been heaping heavy helpings of guilt on your head. Without the guilt, you never would have leaped right past constructive dialogue and encouraged Allan to strangle your publicist, who is really a sweet person and just trying to help. 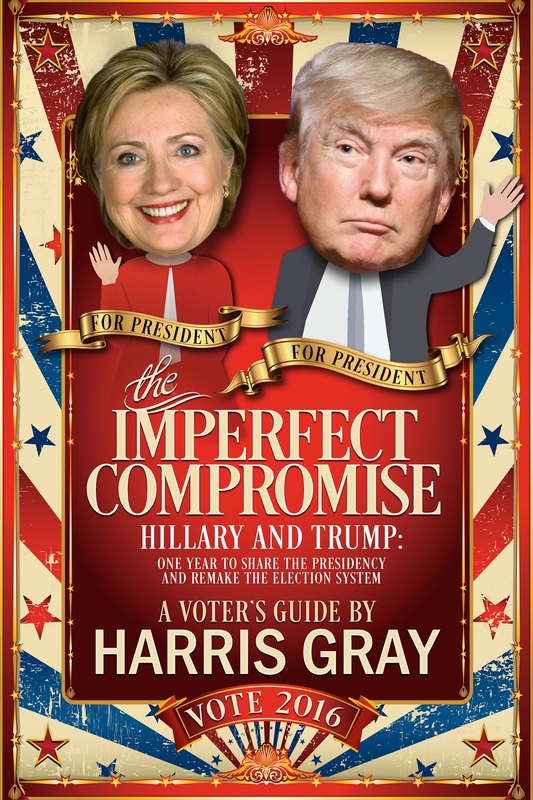 So anyway, thank goodness we didn’t spend our days on social media, because now we have another book written! 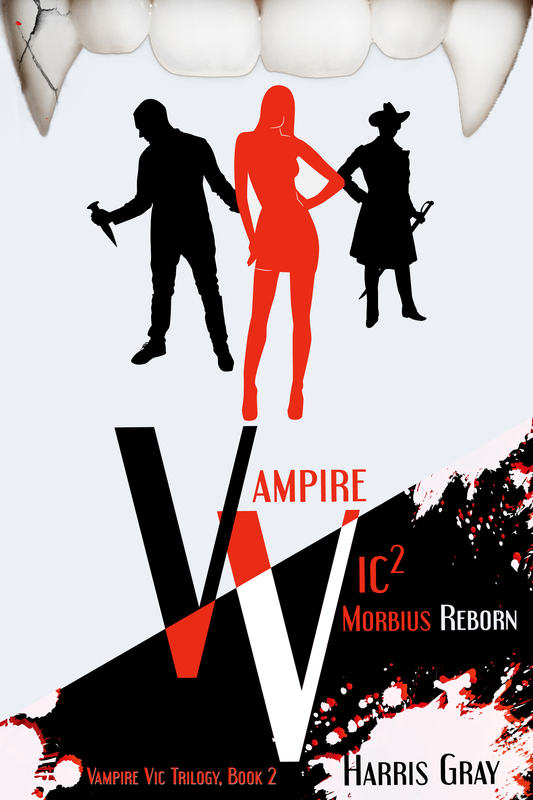 We just finished Book Two of the Vampire Vic Trilogy, VV2: Morbius Reborn. 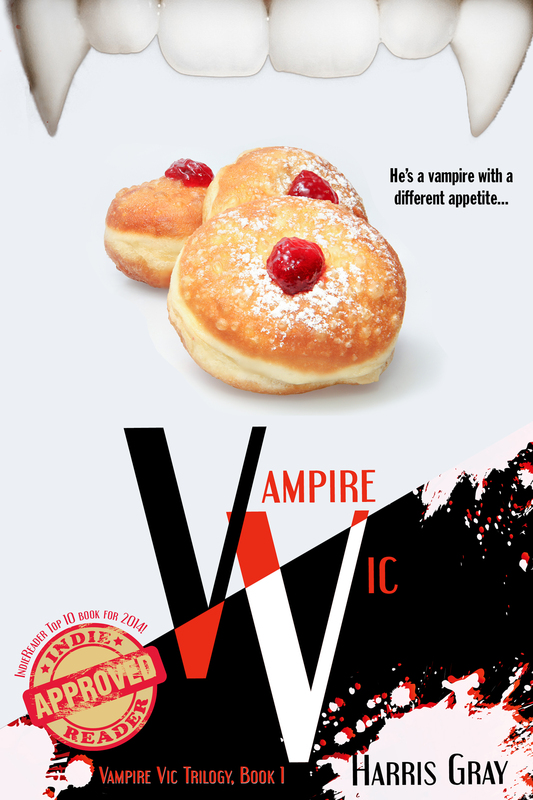 This sequel is everything you loved in Vampire Vic, and nothing you hated, squared! Depending how much you loved the first VV, that could be a pretty big number. 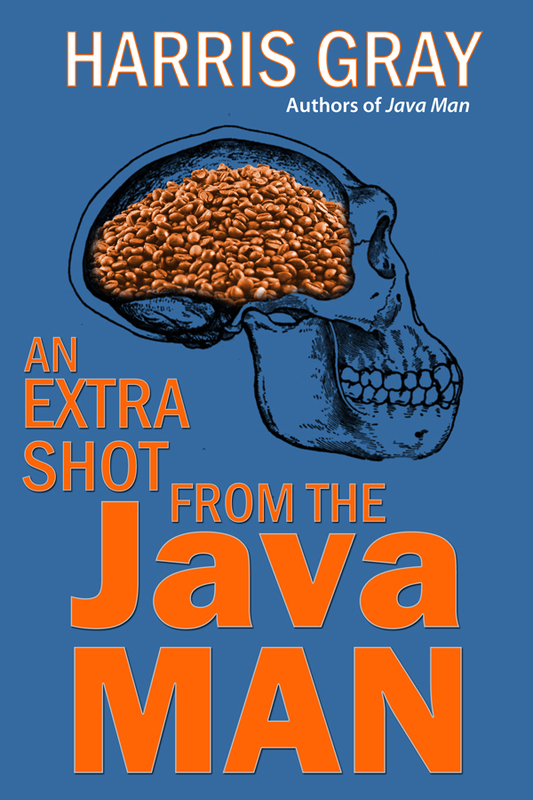 Meanwhile, the design team at the Killion Group is hard at work on the cover. 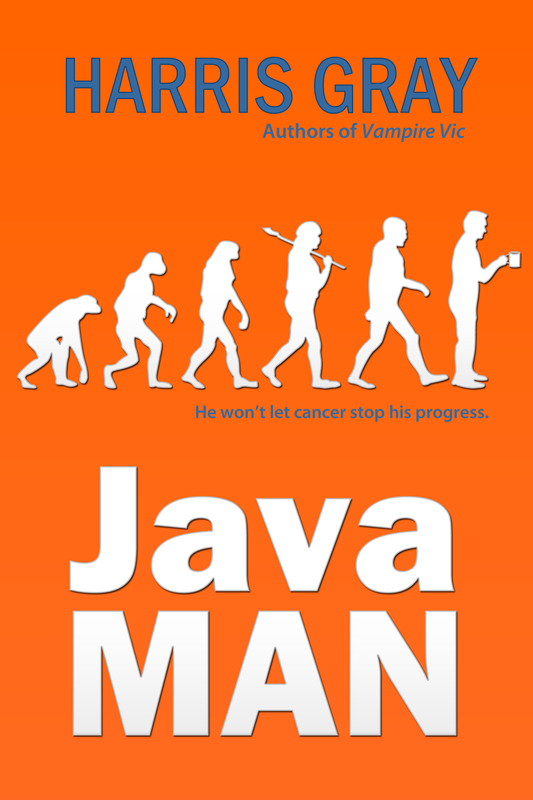 KG was the creative force behind the Java Man cover, so we’re excited to see what they have in store for the VV trilogy. Book One, Vampire Vic, was released in what we like to call the pre-KG era, or B.K.G. That was the cover design Stone Age, Harris Gray and friends painting in the cave, so KG is also creating a new cover for Vampire Vic. Same old story, in a fancy new suit. We hope you didn’t give us up for dead, during this quiet period. If it’s not too early to be giving thanks, we want to say how grateful we are our publicist refrained from acting out on her own strangulation fantasy (and publicly provide this clue for the authorities in case it’s still on her to-do list). It’s good to be alive, and ready to make some holiday season e-noise.